Carina is the founder of Crow + Canary, currently representing a diverse line up of independent designers and card companies. Carina is a frequent speaker on business related topics pertaining to the stationery industry. 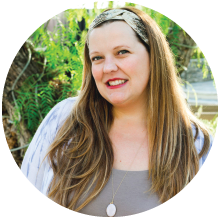 She contributes to design blogs such as Design*Sponge and Oh So Beautiful Paper, and has been profiled on numerous stationery and business blogs. Crow & Canary has exhibited numerous times at New York Now and the National Stationery Show.